Scott counsels employers on all aspects of their employment relationships to achieve their organizational goals while avoiding litigation whenever possible. In doing so, Scott takes a practical and proactive “real world” approach to solving workplace problems. Because lawsuits cannot always be avoided, much of Scott’s practice involves representing employers as lead counsel in federal and state court litigation (including class and collective actions and appeals), commercial and labor arbitrations, and administrative proceedings. 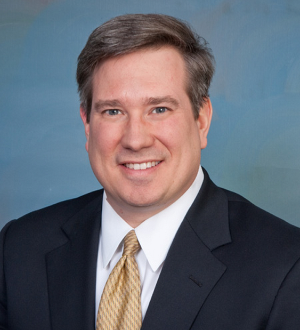 Scott routinely defends employers in investigations conducted by governmental agencies such as the EEOC, PHRC, DOL, and NLRB, and he conducts and oversees internal corporate investigations of alleged fraud, embezzlement, theft, discrimination, harassment, and other forms of employee misconduct. Scott also represents clients in employment-related intellectual property matters and in traditional labor settings, such as arbitration, NLRB proceedings and collective bargaining. Scott works with employers to draft and negotiate executive employment agreements and severance agreements; he assists employers in navigating the legal and practical complexities of involuntary reduction-in-force and early exit incentive programs; he collaborates with employers to craft legally compliant and strategically effective workplace policies; and he provides training to managers and employees on various legal and ethical compliance issues. Scott also counsels colleges and universities on student accommodation and other issues.Scott is experienced in representing employers in a myriad of industries ranging from healthcare, higher education, and banking, to transportation and manufacturing, so Scott strives to thoughtfully consider the unique market forces and regulatory environments in which each of his clients operate. Employers seek out Scott as a trusted advisor knowing that his judgment, skills and talents can be deployed effectively to address issues impacting people from the mail room to the C-Suite in courtrooms, in board rooms, and at the bargaining table.